Issue #4 is now available. Get it from [easyazon_link asin=”B00U09ZREK” locale=”US” new_window=”default” nofollow=”default” tag=”superversivesf-20″ add_to_cart=”default” cloaking=”default” localization=”default” popups=”default”]Amazon (Kindle)[/easyazon_link], Castalia House (EPUB/MOBI) and Createspace (Paper). Get yours now! 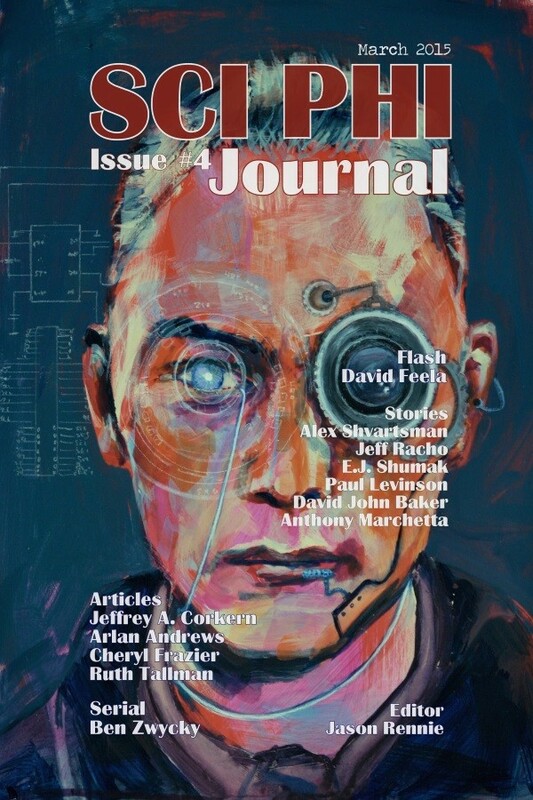 “An Iron Shell of Ritual” by Jeff Racho, who asks what happens when you try to convert a robot? “Icarus Falls” by Alex Shvartsman, who wonders what happens when a hero fades and memory is lost. “Take Up Your Cross” by Anthony Marchetta, who explores what you can do with a time machine, a rifle and a certain city in 33AD. “NanoAmerica” by David John Baker, who seeks to understand what it means to be human. “Bunny Rabbit” by E.J. Shumak and “The Wallet” by Paul Levinson. “Better Man or Better Genes by Cheryl Frazier, concerning the Brave New World of genetic engineering and Gattaca. “Saga’s Lying Cat” by Ruth Tallman, addresses the complexities of lying. “The Confluence Between Literary and Scientific Imagination” by Arlan Andrews Sr. and “On the Sentient Constraints of a Sentient-Containing Universe” by Jeffrey A. Corkern. The serial novel Beyond the Mist by Ben Zwycky continues with Chapters 6 & 7, and there are also book reviews by Peter Sean Bradley.